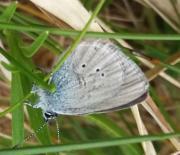 However, in the past 80 years, two of the 26 species in the UK have become extinct and several others are now extremely rare. Of these, one species – the Great yellow bumblebee – can only be found in parts of Caithness and Sutherland, and the islands of Orkney, Coll, Tiree and the Outer Hebrides. Now the Bumblebee Conservation Trust (BBCT), which was set up to address this decline, is calling on people in Scotland to help boost populations of this rare bumblebee. On Monday, 19th May 2014, the trust will unveil plans for an exciting new project which could see Thurso styled as the UK’s first 'Great Yellow Bumblebee town' – a project called Gateway to the Great Yellow. The aim of the project is to create a sense of community ownership of this enigmatic bumblebee – which as its name suggests is yellow with a band of black hair between the wings - and encourage grass roots support for bumblebee conservation. 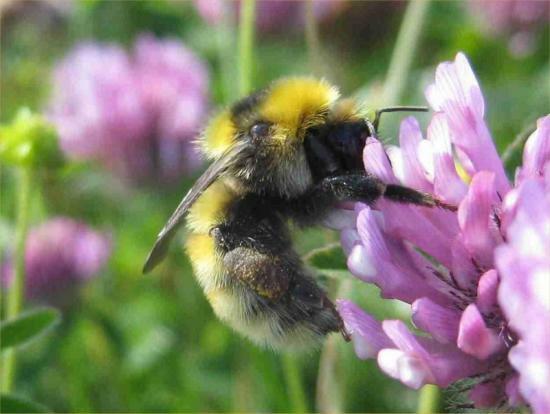 Through education, outreach and interpretation, together with a range of practical measures, the BBCT hopes to encourage local communities throughout Caithness to create and manage habitats for the Great yellow bumblebee and other pollinators. The project has already won the support of MSP David Stewart and Highland councillor Roger Saxon who have become Great yellow bumblebee Species Champions in the Scottish Parliament and Highland Council respectively. Gardeners are now being asked to play their part by planting bee-friendly flowers in their gardens. Gardens have become increasingly vital for bumblebees due to habitat loss largely brought about by changing agricultural practices. Great yellow bumblebees emerge from hibernation later than many other species and need a continuous supply of flowers from May to October. Katy Malone, BBCT conservation officer for Scotland, says: "The Great yellow is one of our rarest bumblebees but will often visit flowers to forage in far northern and island gardens. Plants therefore need be totally hardy as well as rich in late-source nectar and pollen - plants like Sedum spectabile, crocosmia (montbretia) and buddleia are really valuable and provide a welcome burst of colour at a time when most other flowers have begun to die." Other popular plants for the long-tongued bumblebee are red clover, vetches and knapweed as well as catmint, honeysuckle and foxgloves. Herb gardens with thyme, marjoram and lavender are also fantastic as are alliums - which can grow in almost any type of soil, and borage - which provides both nectar for bumblebees and edible flowers for the gardener. Even if you don’t have a garden, you can play your part by taking part in BBCT’s Spring into Action campaign. The trust, which is based at the University of Stirling, has produced two resource packs to help people lobby their councils and local garden centres to become more bee-friendly. For local authorities, something as simple as changing the cutting regime of the grass verges and park land could have a huge impact on bumblebee populations. "In the far north and west, the Great yellow still thrives on coastal sites which retain clover-rich machair habitat,” says Malone. “The Bumblebee Conservation Trust is supporting community groups and other land owners such as farmers and crofters who want to retain these flower-rich environments. Many people think that by leaving a patch of ground completely undisturbed, wildflowers will thrive. In fact, it's just the opposite - the best wildflower areas are the ones that are managed by cutting grass in the early spring or late autumn and removing the cut grass so that wildflowers can come through the next year. It's similar to how a traditional hay field would have been managed 50 years ago." Meanwhile garden centres can play an important role by promoting plants beneficial to bumblebees over common bedding plants such as pansies, begonias and pansies, which offer little or no pollen and nectar. Alternatively, you can sign up to become a BeeWalker – all you need is a spare hour or so every month to walk a fixed route of about a mile. Having recorded the bumblebees you see on your walk, you then enter the information on the BeeWalk website. Dr Richard Comont, BBCT data monitoring officer, says it’s not necessary to be an expert in bumblebees to take part. BBCT will be holding a public consultation on its plans to style Thurso as the Gateway to the Great Yellow from a pop-up shop in the town. Locals and visitors will be able to visit the shop between May 19th to June 14th to view and comment on the plans, make suggestions and find out how to get involved.